Clothing retailer Abercrombie & Fitch recently unveiled its latest store concept: the “Learning Lab.” Targeting college campus dwellers, the first two stores — located in Ohio’s Gateway-University District and near the University of Southern California (USC) — will open this August and offer exclusive campus-focused perks. “Our campus stores, built on a small footprint and with full omni-functionality, will also serve as unique learning labs, providing us with insights into driving productivity from more compact stores, omnichannel integration, and leveraging store-centric experiential marketing,” said Abercrombie & Fitch brand president Stacia Anderson in a press release, according to Columbus Underground. 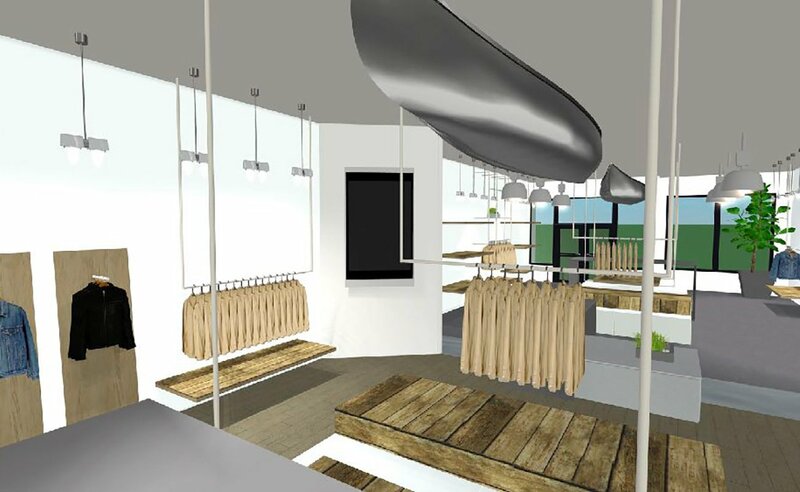 With an in-store interactive screen for quick and seamless shopping and an on-campus brand ambassador program, the Learning Lab concept is projected to offer insight into operating within a space less than half the size of a typical A&F store. There's also a convenient store feature that allows for pickup of items purchased online. Learn more about the Abercrombie & Fitch "Learning Lab" here.